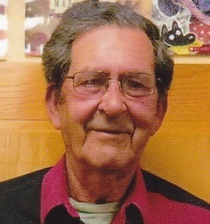 Jack R. Shoemaker, age 74 died on Sunday, September 4, 2016 at his daughter's residence in Rochester, Indiana at 8:10 a.m. He was born on November 21, 1941 and named Jackie Ray Shoemaker in Indianapolis, Indiana. His parents were Russell and Nancy (Bowen) Shoemaker. He graduated from Akron High School in 1963 and lived his entire life in Akron. He married Karen Montague on January 16, 1971 and then divorced 27 years later. He was a police officer for the town of Akron before being employed by Sealed Power in Rochester and then transferred to the Sealed Power Plant in Richmond where he retired. He also had worked for Dana from Rochester and Richmond. His special interests were farming, tinkering and repairing things and he enjoyed going to high school class reunions. His grandchildren were a huge part of his life. Surviving Jack is his daughter: Anna Baillieul (spouse Greg) of Rochester; his son: Rick L. Shoemaker (companion Lisa Miller) of Akron; (2) brothers: Robert "Bob" Shoemaker (spouse Alice) of Decatur; Jerry Shoemaker (spouse Diana) of Akron; (2) sisters: Beulah Connor of Rochester (formally Macy); Kathline "Kate" (Smith) Racer of Rochester; (8) grandchildren: Aubrey, Alexis, and Avery Gates and Makaila Warner and Kaitlin, Sage, Tatum and Greyson Shoemaker. He was preceded in death by his parents and his son Russell. Visitation will be on Wednesday, September 7, 2016 from 2:00 to 4:00 p.m. and 6:00 to 8:00 p.m. at the Earl-Love Funeral Home, 811 E. Rochester Street, Akron, Indiana 46910. Funeral Services will be Thursday, September 8, 2016 at 11:00 a.m. at the funeral home with Pastor Wayne Balmer officiating. Burial will be in the Akron IOOF Cemetery in Akron, Indiana. Memorial contributions can be made to the Akron Las Donas Marcus Hackworth and Scott Sechrist Memorial Scholarship Fund (through the Northern Indiana Community Foundation in Fulton County). Adress: P.O. Box 807, 715 Main Street, Rochester, Indiana 46975. Envelopes will also be available at the funeral home. The staff of Earl-Love Funeral Home considers it a privilege and a honor to care for the family and friends of Jack Shoemaker.